Are you looking to expand you catering business and not have to pay retail rents? Then we say, take advantage of this fantastic opportunity catering opportunity. Not too many truly catering facilities are on the market. So jump on this one. The rent is only $900 a month!!! OMG! Steal this baby, it won't last! The kitchen is equipped with four Montague convection ovens, burners and ovens, an 8ft x 6ft walk in fridge, large Dishwash area and machine, so much SS work surface and a fully tiled floor and wall coverings. The front entrance has an office and tasting room measuring approx 200 sq ft while the remaining 1000 sq ft approx is all modern kitchen, which also has a full roll up rear access door convenient for loading and unloading straight from the perparation kitchen, making this a Caterers dream. Easy access to Hwy 50, near Sunrise Blvd. Eveything is up to modern health code and is for sale complete. 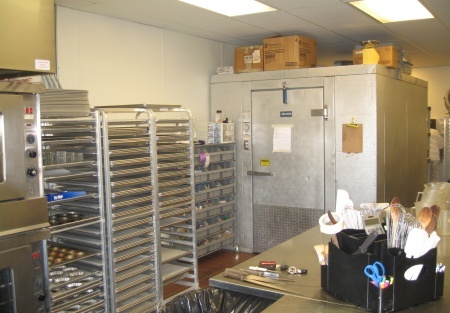 This turnkey Commercial Kitchen is not open for business, the owner is relocating to Southern California and she is motivated to sell. Bring an offer! This is truly a fraction of the price for what it would cost to build it. The right buyer is a motivated operator with a good back ground and solid financials for the landlord. The hard work is already done- you can turn the key and start your own Commercial kitchen operation, Bakery or catering business. Add to the bottom line and charge renters for usage of the space. Take the next step and complete the online confidentiality agreement and you’ll be provided with the name and address. Broker has the key, so give him a call.